The Pumpkin Hollow site in Nevada. 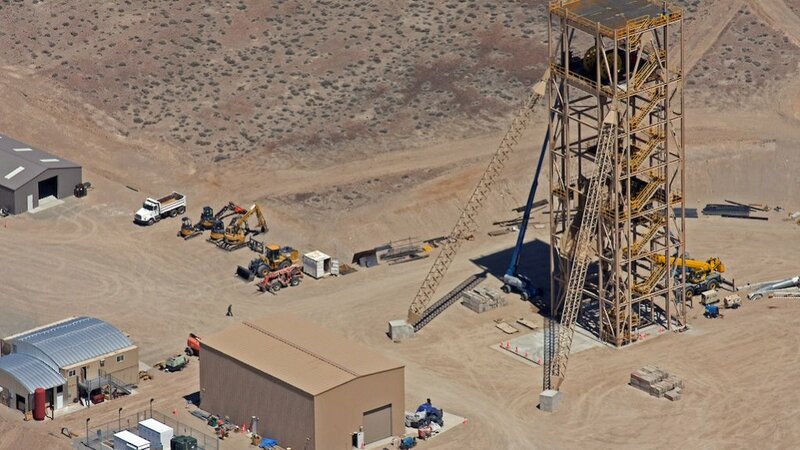 TSX-listed Nevada Copper, which last month moved into full-scale construction mode at its first underground mine, has delivered a study to show the potential for a standalone openpit mine at Pumpkin Hill, in the US. An existing technical report for Pumpkin Hollow contemplates two potential options for developing the mine with a 2017 underground prefeasibility study contemplating an underground mine as a standalone case and a 2015 integrated feasibility study studying an openpit and underground development case. Nevada Copper has started construction of the Pumpkin Hill underground mine on a standalone case basis, but has said that it could still consider an integrated project. On Monday, the company delivered results of a preliminary economic assessment (PEA) for a standalone openpit development option, which returned strong project economics, including a pretax net present value (NPV) of $1.17-billion and an internal rate of return (IRR) of 21%. The post-tax NPV came to $927-million and the IRR to 19%. The Pumpkin Hollow opencut mine will produce 177-million pounds a year of payable copper over its 20-year mine life, at C1 cash costs of $1.67/lb net of byproduct credits. On average, the openpit should pocket $272-million a year of earnings before interest, taxes, depreciation and amortisation. In line with Nevada Copper’s strategy of incremental production expansions that can be achieved with low capital intensity and short lead times, the openpit development plan comprises two phases. The initial phase will cost $592-million to build a mine and plant with a 37 000 t/d capacity and the second phase will require $447-million to increase capacity to 70 000 t/d in year eight of the mine life. “We are highly encouraged with the results of the PEA for our openpit project at Pumpkin Hollow. The report clearly illustrates the potential to put this large, openpit project into production with lower capital costs and in a shorter period of time than originally envisaged. The phased development approach also aligns with our strategy of pursuing optionality through low-capital intensity and staged production growth to generate shareholder returns. We have used this same margin-over-tonnes philosophy with the Pumpkin Hollow underground mine, which will be in production in 2019, and we are looking forward to the next steps in advancing the openpit project,” said Nevada Copper CEO Matt Gili. The 5 000 t/d Pumpkin Hollow underground project currently under construction will produce 60-million pounds of copper in the first five years of operations, as well as 9 000 oz of gold and 173 000 oz of silver. Over the entire 13.5-year mine life, yearly output will average 50-million pounds of copper, as well as 8 000 oz of gold and 150 000 oz of silver. Nevada Copper noted that, although construction had started on the Pumpkin Hollow underground project, the openpit could still be developed and designed as an integrated operation for some years to come before the two development options became mutually exclusive to one another. The company noted that the opencut PEA results did not include the findings of the 2018 drilling campaign, which had identified additional shallow mineralisation in areas currently classified as waste.